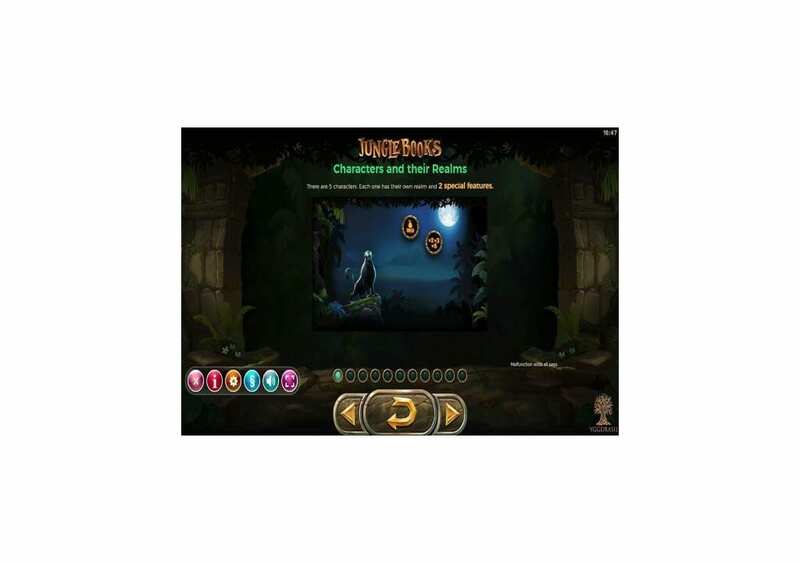 Jungle Book is the brand new slot machine by Yggdrasil Gaming that takes you on a grand adventure that occurs in the jungle with the epic story of the Jungle Book that we all enjoyed and loved as kids. 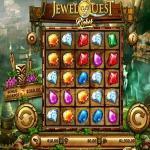 The slot machine has five reels and comes packing a total of 68 lines that can be quite rewarding. As per the usual, the Yggdrasil slot has immersive visuals that fit the theme of the game, and plenty of bonus features and winning chances. 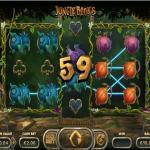 Jungle Book is a five-reel slot title that comes hosting a total of sixty-eight lines. 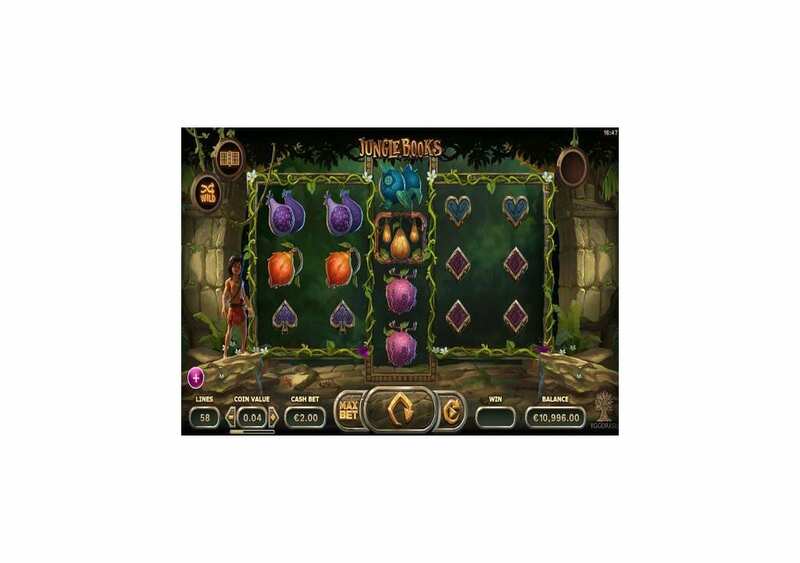 The slot machine takes you to the jungle as you join your favorite character as a kid, through the epic story of the Jungle Book. The new title by Yggdrasil comes in incredible visuals and sounds, as well as multiple bonuses and unique symbols that can result in significant payouts. 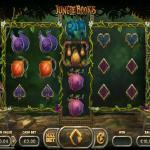 Jungle Book is a five reel slot machine that comes to you from the portfolio of Yggdrasil Gaming. 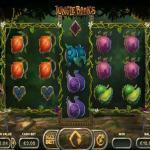 The slot machine is playable from only 0.10 credits for each spin, up to 250 credits. The high stake allows you to reel in the biggest rewards that the game has. 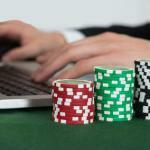 The slot machine is playable across a multitude of devices, starting from Desktops, Laptops, to Androids and iPhones. 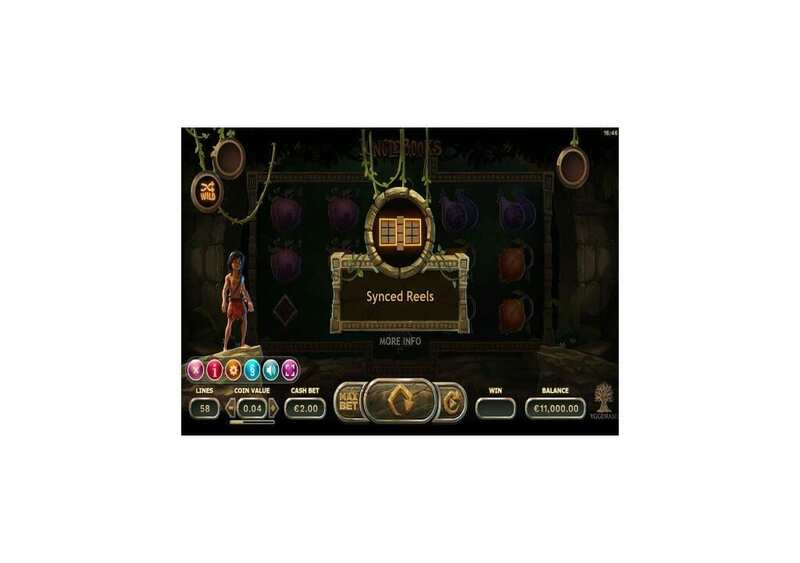 The slot machine has a fairy-tale theme that takes you into the epic adventure of Mowgli and his animal friends. 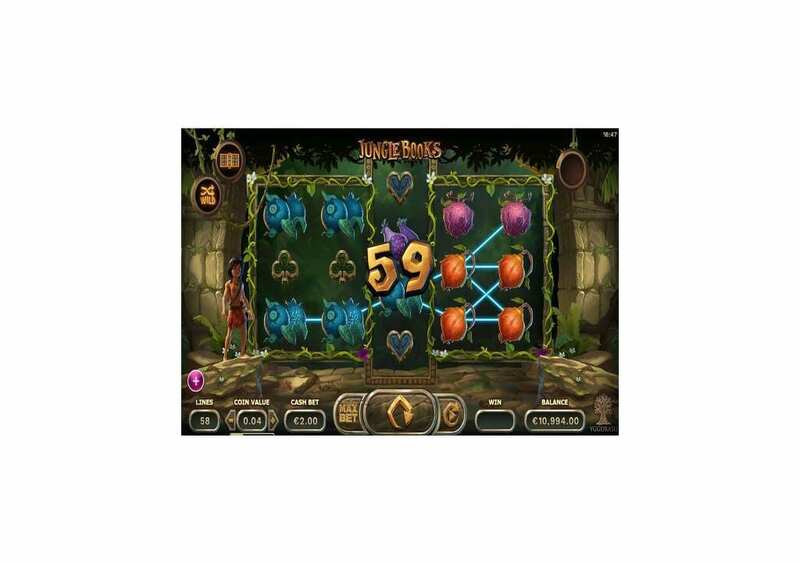 The slot machine does not only bring you on a grand adventure in the jungle, as you claim your share of the vast forest fortunes that you can find. These chances are available through the 68 wager lines of the game, as well as the bonus features and symbols that the slot has for you. The Jungle Book revolves around the fictional character and protagonist, Mowgli. Mowgli is the main protagonist of The Jungle book novel by Rudyard Kipling. Mowgli is a feral child from India who lived in the Jungle since he was a baby. He lives with the animals of that jungle, and they raised him as one of their own. We all watched cartoons and shows about Mowgli, the jungle boy and watched his adventure in the Jungle. Therefore, you will be able to join Mowgli, and his animal friends in this great adventure in the Jungle, as you look for the great fortunes and treasures that the jungle has for you. 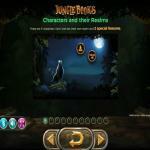 There are numerous characters from the book that will join during the gameplay. These figures include the bear, the tiger, the panther and the snake. Jungle Book slot machine has quite a unique setup that comes with five reels. You will see that the middle reel has four symbol positions, while the remaining reels have three symbols each. Across these reels and symbol positions, you will be able to take advantage of a total of 68 wager lines that can result in a multitude of rewards. The visuals of the game are out of this world, everything comes in three dimensions, and almost everything is animated. 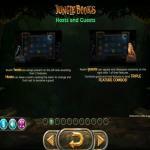 For example, you will see Mowgli the jungle boy on the left side of the reels in a 3D animated character. The Reels take place in the Jungle, inside of an abandoned temple with trees growing between the cracks in the walls. As for the reels, they come with plants on the edges. 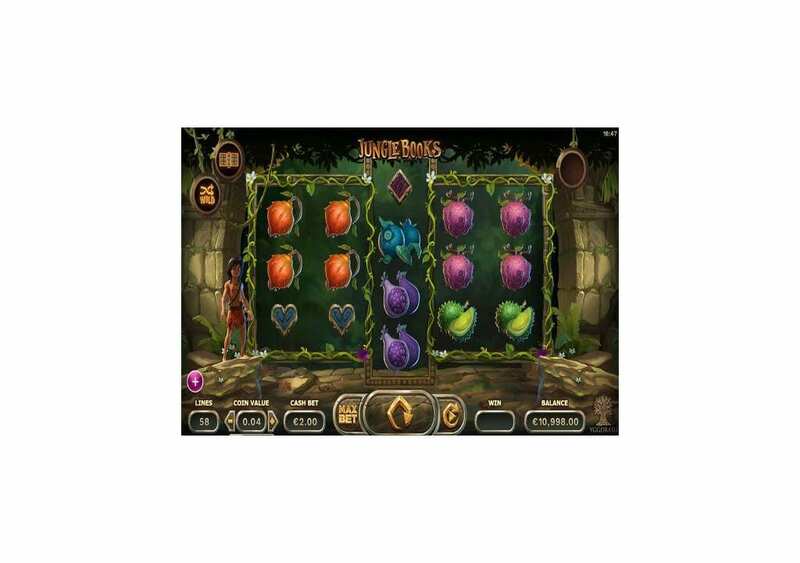 As for the symbols that will appear on the reels of the game, they include Mowgli, and his animal friends such as the panther, the tiger, and the snake among others. All of these symbols will transform into animated symbols when they are a part of a winning combination of symbols, or when you manage to trigger a bonus feature. 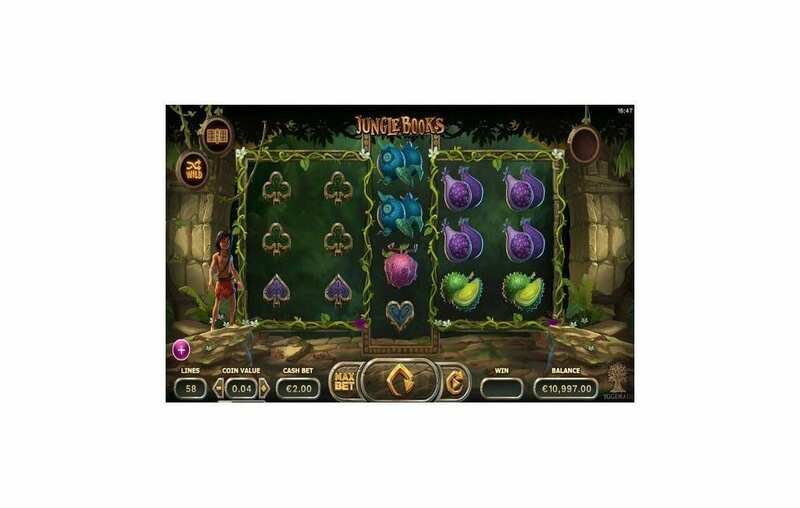 Jungle Book has a lot of rewards, which you will be able to claim through the lines of the game by creating winning combos, and through the bonus features of the slot machine. You will claim an award upon getting a minimum of three matching symbols on any of the 68 lines of the slot machine. The highest award that you can earn through the lines is equal 300x the stake you placed. You will get that reward when you get 5x of Super High Pay fruit symbol. You can view all of the payouts and the features of the game at the paytable of the slot machine. Yggdrasil always creates games that come with a lot of winning chances and Bonuses. The slot that we have here, Jungle Book, has its own set of unique features. These functions include a wild symbol and the Animal Realms that have their features. The wooden plank that has the word “wild” on it represents the substitution symbol of the game. 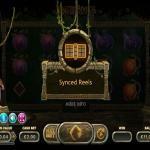 The icon can replace all other symbols on the reels of the game to help you create the biggest payout possible, in accordance to the remaining symbols on the reels. 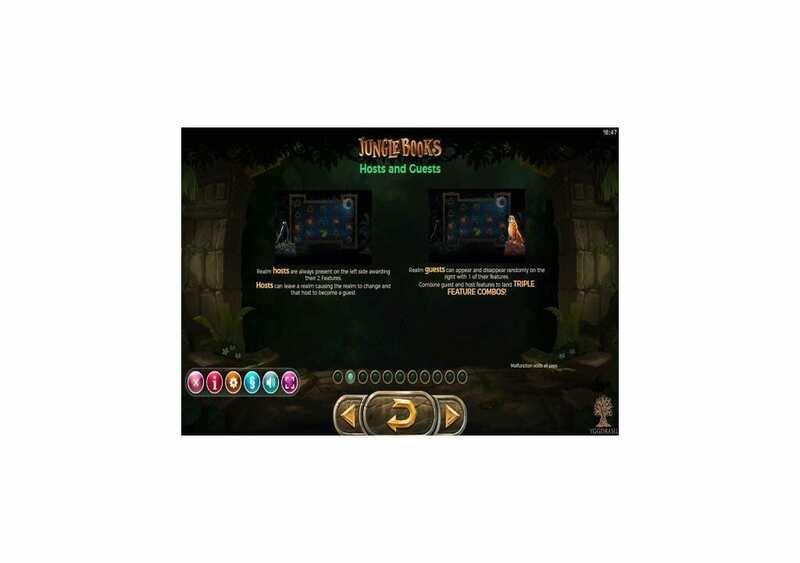 Each animal has his Realm that comes with features such as the synced reels where specific reels where specific reels will spin in sync with the same symbol, resulting in a great set of rewards for you. There are also the wild fruits, multipliers, win both ways and more.